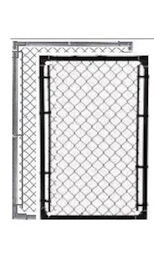 Cantilever Gate Chain Link Fence Slide Gate, Welded with Cantilever Rollers, Includes 3 Posts and all the Hardware. 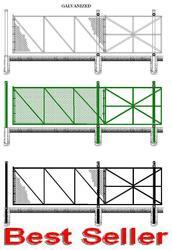 Cantilever gates are made to order in various heights and opening sizes. They are offered plain top or with barbed wire arms welded on for barbed wire systems. The actual gate size is calculated with size of the opening plus 50% for counter balance. 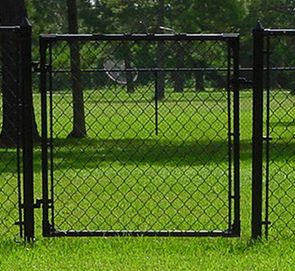 For example, if the gate opening is 20 feet, the actual gate size will be 30 feet. Cantilever Gate Chain Link Fence Slide Gate KIT for self welding, with Cantilever Rollers. KIT includes all the components required, including posts. IT IS WELDED ON SITE at the time of installation. 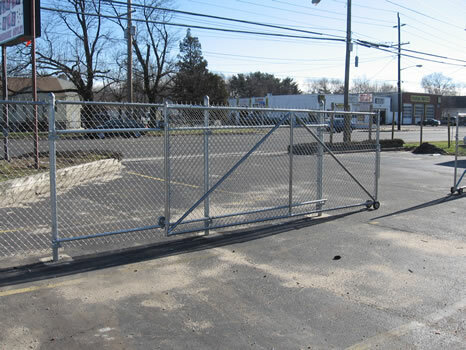 Cantilever gate kits are made to order in various heights and opening sizes. They are offered plain top or with barbed wire arms welded on for barbed wire systems. 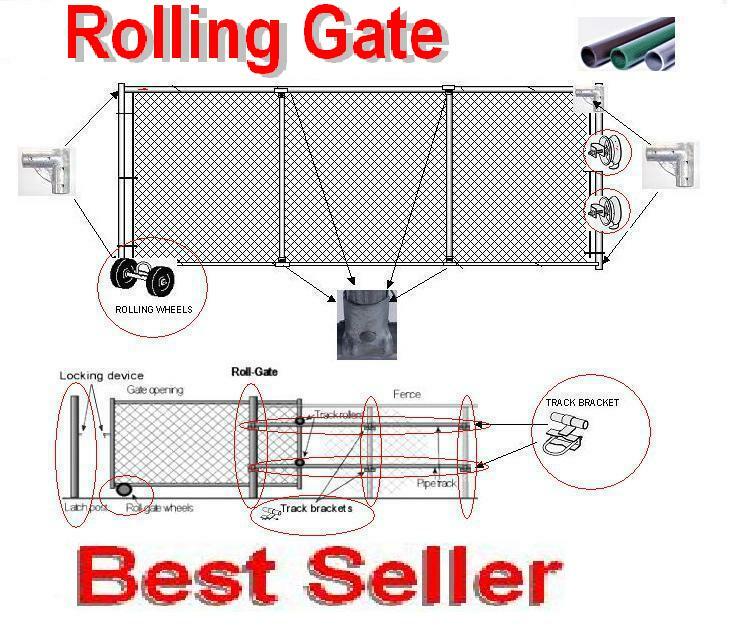 Rolling Gate Component kit self assembly includes all the parts, pipe frame pieces including in-fill chain link mesh and it's hardware material, all Posts, Tracks, & Hardware kit (shown circled in red in detail picture). For horizontal tracks 1-5/8" pipe is included. Gate and Latch Post are 2-1/2" OD, Inline Track Posts are 2" OD. All you need is to buy cement to install the posts. These gates are ideal for situations where rolling gate is required but there is no room for counter balance on the side as in cantilever gates.